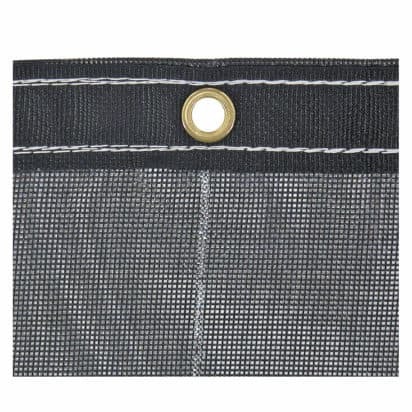 This black mesh tarp measures 90 inches by 20 feet. Composed of UV resistant monofilament woven mesh. Reinforced corners ensure superior strength and durability. Brass grommets placed at each corner and at 2 foot intervals around full length of hem provide easy access for a wide range of uses. 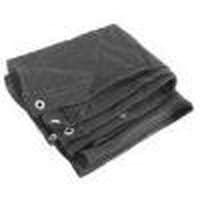 This heavy duty tarp is built for long-lasting reliability, and is an ideal dump bed cover.